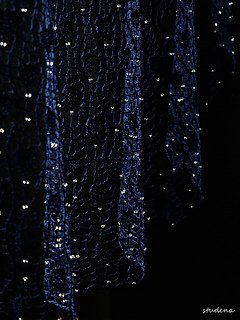 A delicate and decorative crescent, with a radiating lace motif and optional beading. 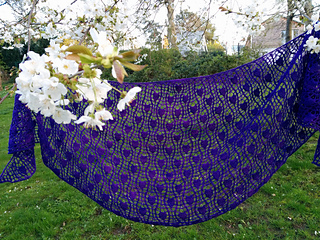 Many thanks to SusaninMontara for requesting this crescent version of my original triangular Teardrop pattern, for knitting the sample, and for giving me permission to use her lovely photo! 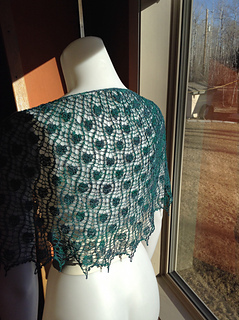 The sample shawl was knit on 4mm/US6 needles with approximately 460m/500yds of Colinette Jitterbug, 114 velvet olive. Finished measurements: 42.5cm/16.75in deep by 159cm/62.5in across. 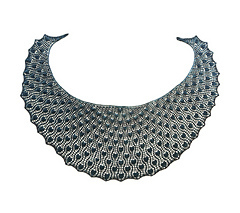 The original triangular pattern has size 6 beads added with a 1mm crochet hook. 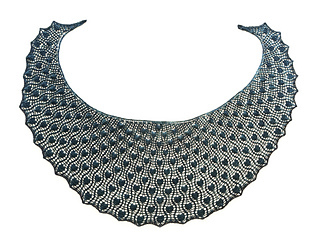 The crescent sample was made without beads, however bead placement is indicated on the charts. 205 beads are required for the sample size, if you want to add them. 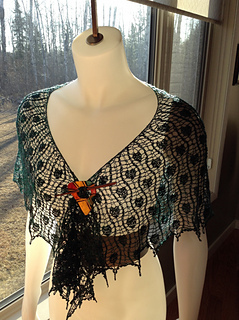 The pdf includes 3 charts and short written instructions.